Although awnings are great standalone products, they can be even better! By upgrading your patio awning with accessories, you can enhance the tone and the mood of your awning as well as improve and increase its functionality. The sun’s rays heat up different areas around your home throughout the day. When the sun reaches a certain point, it can make certain parts of your deck or patio can be unbearable — and a traditional awning alone can’t block all the rays. In order to block light that produces glare as the sun begins to set or rise, a patio or deck may benefit from a drop shade on their retractable awning. Drop shades are practical accessories because they create a barrier around a deck or patio that blocks intense glare and harmful UV rays. The process of installing a drop shade simply replaces your existing front bar of your awning. After the sun sets, the lack of lighting can impact everyone’s experience underneath an awning. 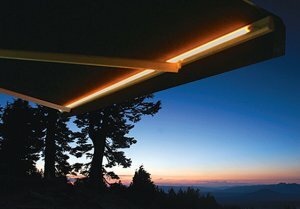 Awning lighting products are practical, as they can effectively illuminate an entire patio or deck, but they are also great as mood lighting. 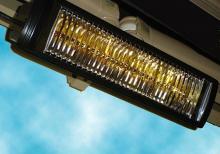 When compared to lanterns, awning lights produce more efficient and more even lighting. Retractable awnings are made to withstand a level of wind, sun and rain, but they have their limits. Our Somfy Wireless 3-D Wind Sensor can protect your retractable awning from damaging winds by retracting the awning when the wind is at a certain speed. 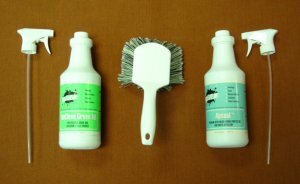 This helps your awning last longer and gives you more peace of mind. Want to keep using your outdoor spaces even when the night air gets a little more crisp in the fall, or in the spring when there’s still a bit of chill in the air? An infrared heater package for your awning can help you enjoy your outdoor spaces, like your deck or patio, more comfortably for more of the year. These awning heater kits can be installed by the homeowner, but it’s important to follow the directions carefully to avoid the risk of fire, injury or damage that can be caused by improper mounting. 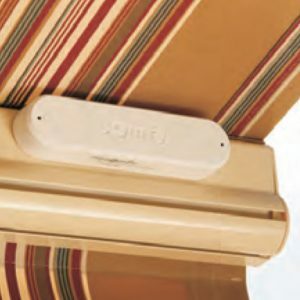 We include all the mounting hardware and instructions you need to install your awning heater safely. Drop shades, lights, heaters, and other accessories help homeowners and business owners get more out of using their awnings. Other accessories, like our fabric cleaner and protectant kit or our SunCover Touch-up Paint Pen, can help you keep your awning looking newer for longer. The big benefit is that most awning products are very easy to use or install, as these add-on items can be installed with common household tools and the hardware that is included in the kits. If you need help picking proper accessories for a short or wide awning or an awning of any type or size, contact us today.